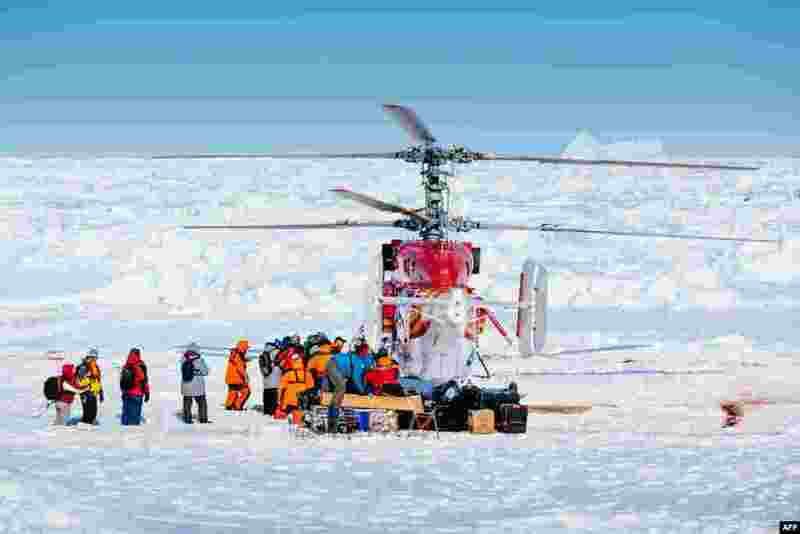 ۱ This image taken by expedition doctor Andrew Peacock of www.footloosefotography.com shows a helicopter from the nearby Chinese icebreaker Xue Long picking up the first batch of passengers from the stranded Russian ship MV Akademik Shokalskiy in Antarctica. 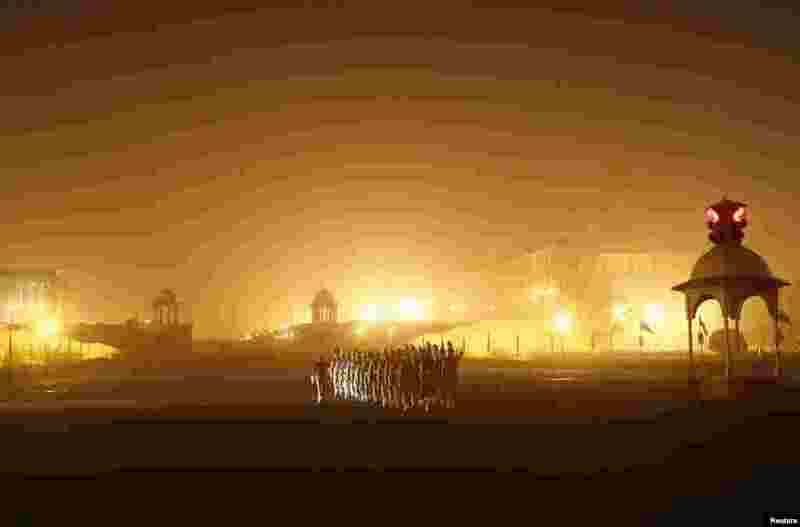 ۲ Indian soldiers march as they rehearse for the Republic Day parade amid fog on a cold winter morning in New Delhi. 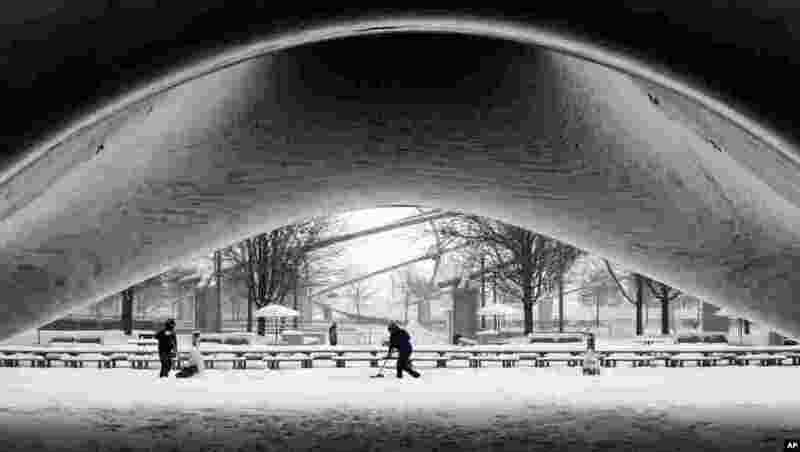 ۳ A park crew clears the snow around Annish Kapoor's stainless steel Cloud Gate sculpture at Millennium Park as snow continues to accumulate in downtown Chicago, Illinois, USA. 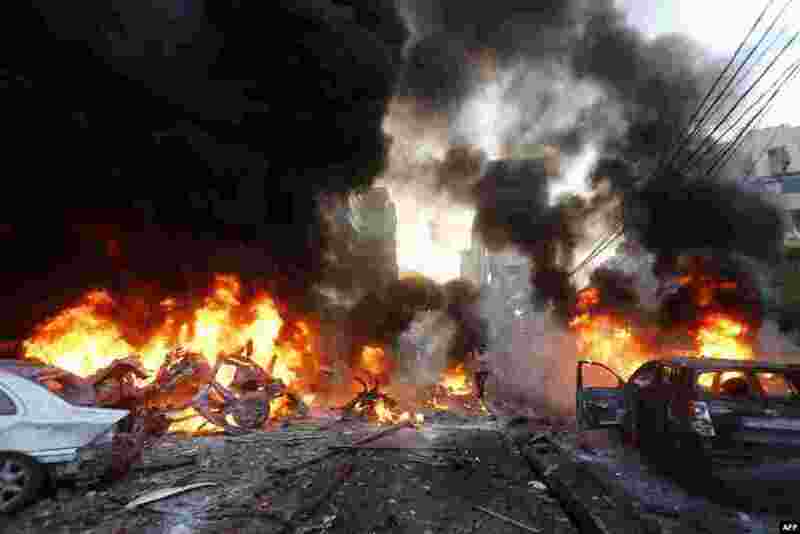 ۴ Flames rise from burning cars at the site of a car bomb that targeted Beirut's southern suburb of Haret Hreik, Lebanon. A large car bomb killed five people and wounded at least 20, a health ministry source told AFP. 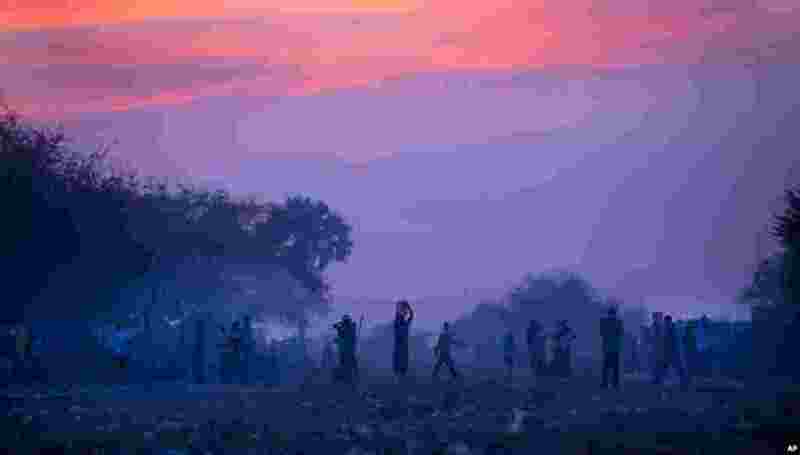 ۵ Displaced people, who fled the recent fighting between government and rebel forces in Bor by boat across the White Nile, prepare to sleep in the open at night in the town of Awerial, South Sudan, Jan. 1, 2014. 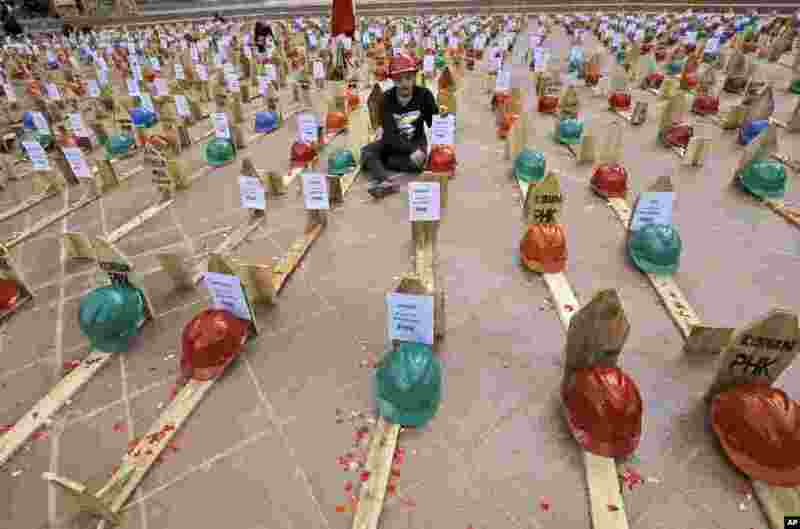 ۶ An activist of National Solidarity of Mine Workers sits among mock graves of miners during a protest against the government's plan to ban raw mineral exports that will take effect this month, in Jakarta, Indonesia. 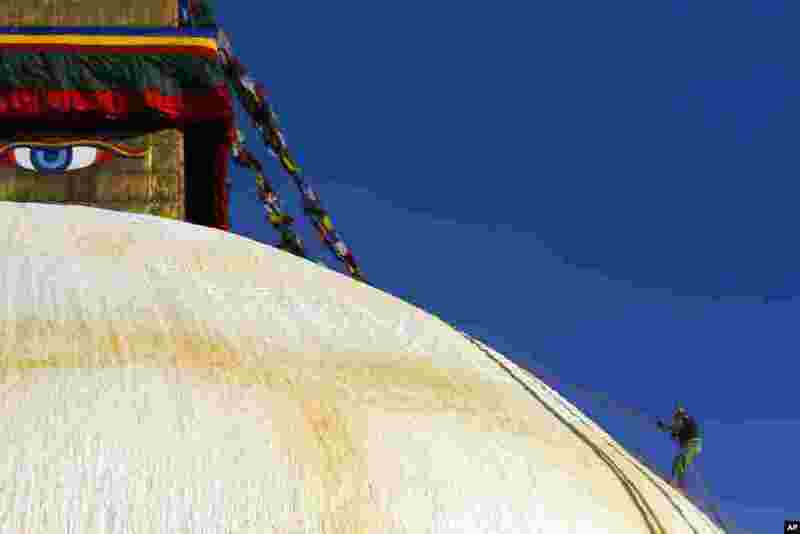 ۷ A Nepalese man climbs the Boudhanath stupa in Katmandu, a world heritage site, for renovation. 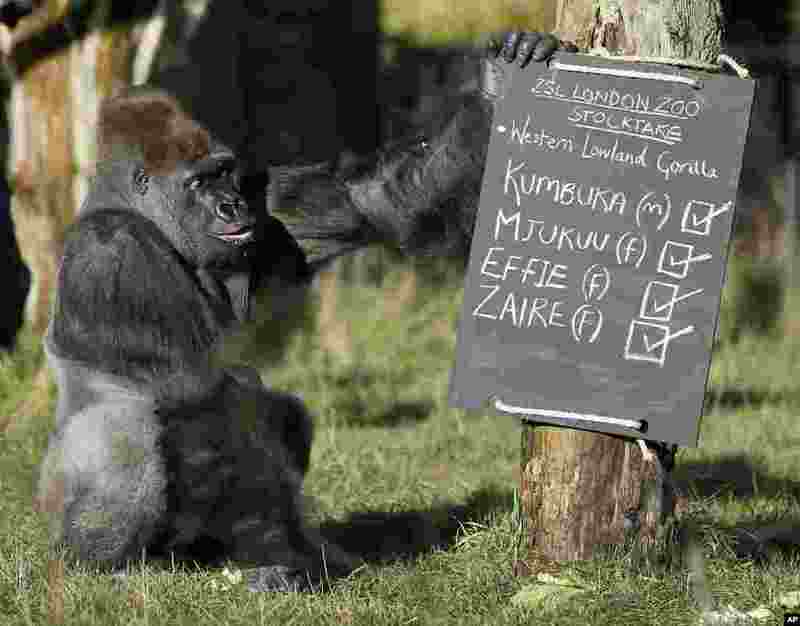 ۸ Kumbuka, a male silverback gorilla, inspects the keeper's chalk board in his enclosure at the London Zoo.